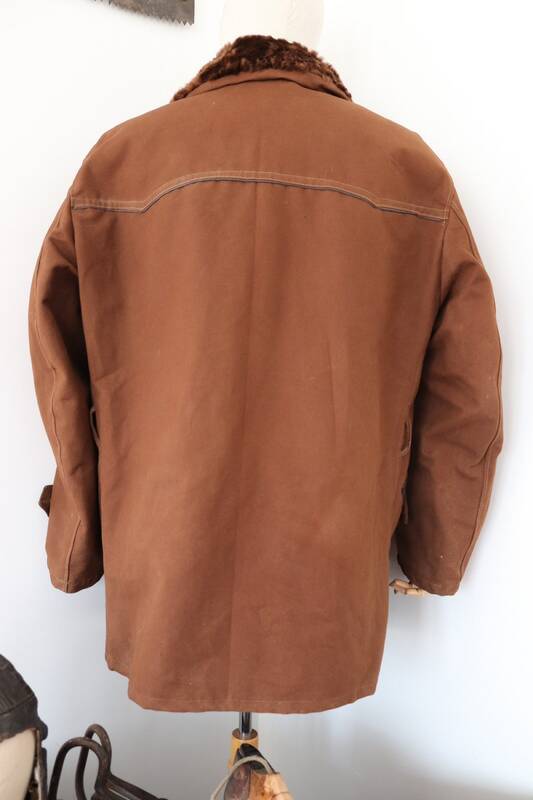 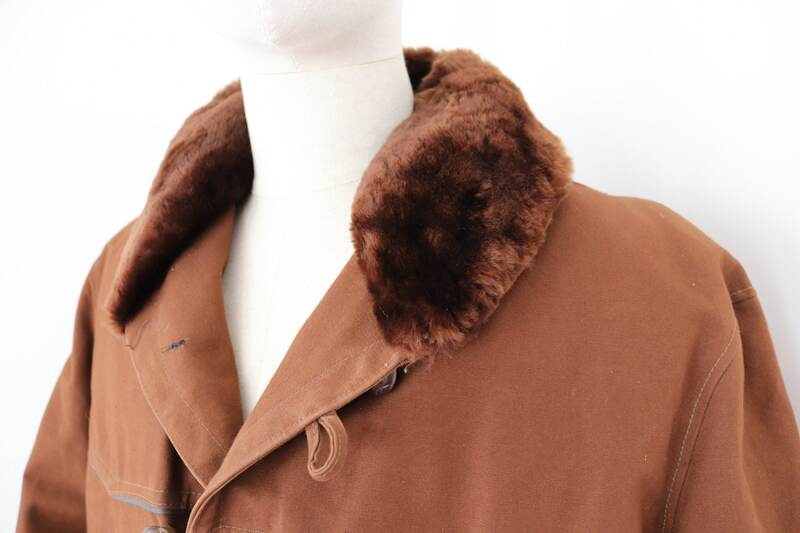 A deep brown canvas Canadienne jacket dating from the 1950s. 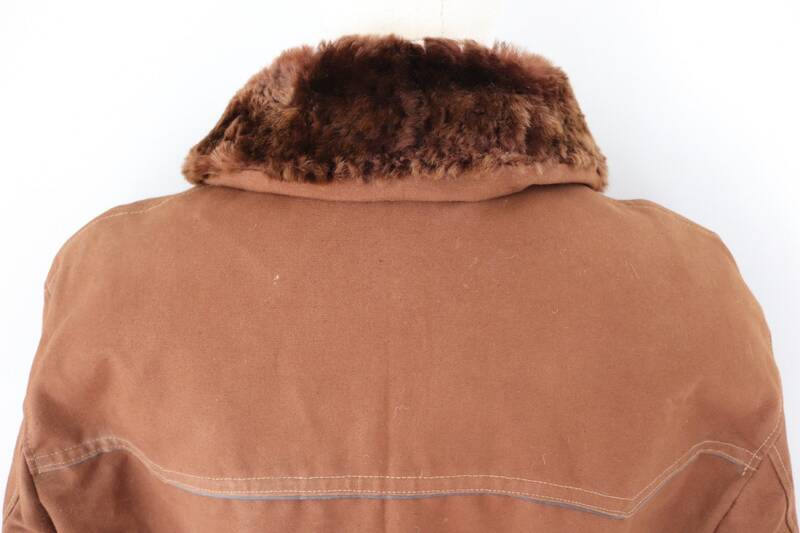 Noted flaws - missing the original belt, some wear to the back edge and a small bald patch in the mouton collar, some small light marks throughout - please see photos. 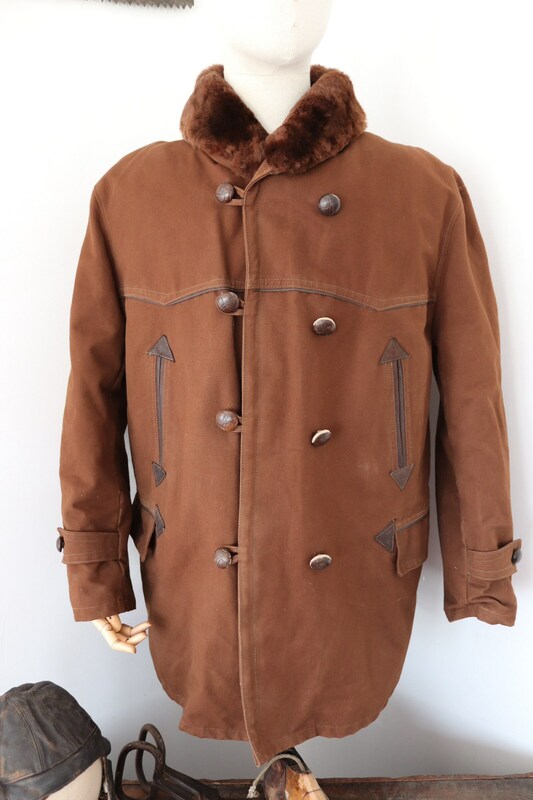 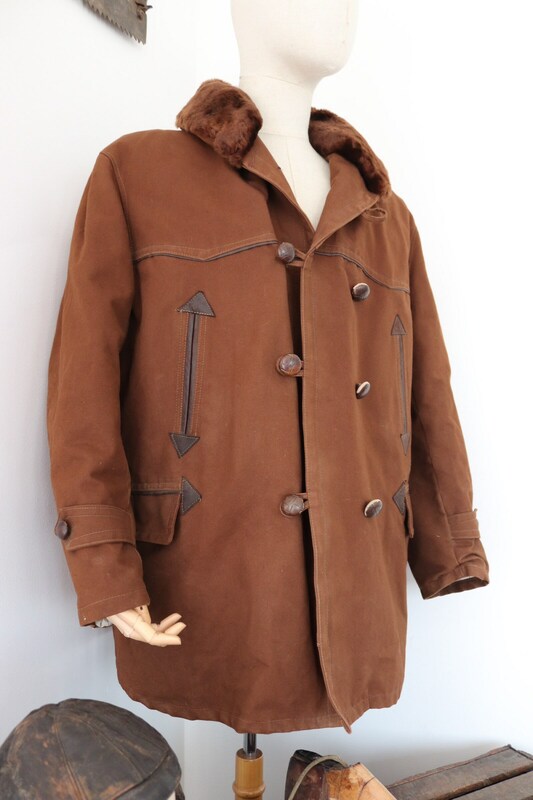 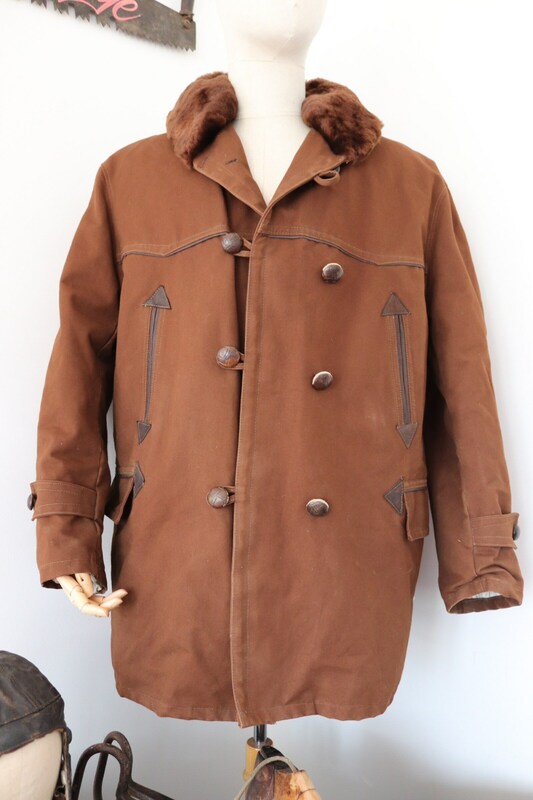 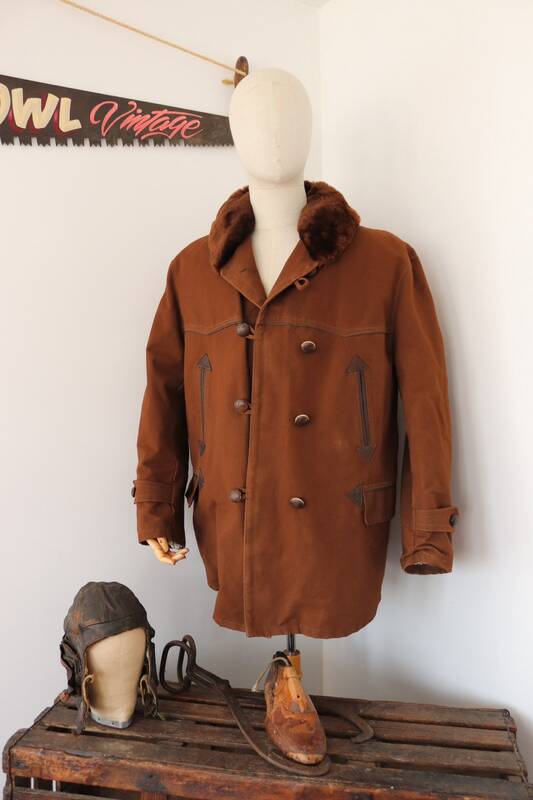 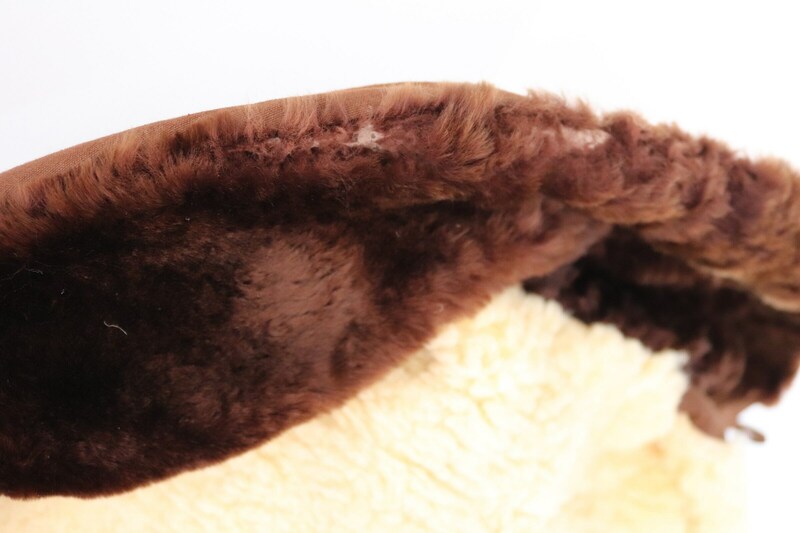 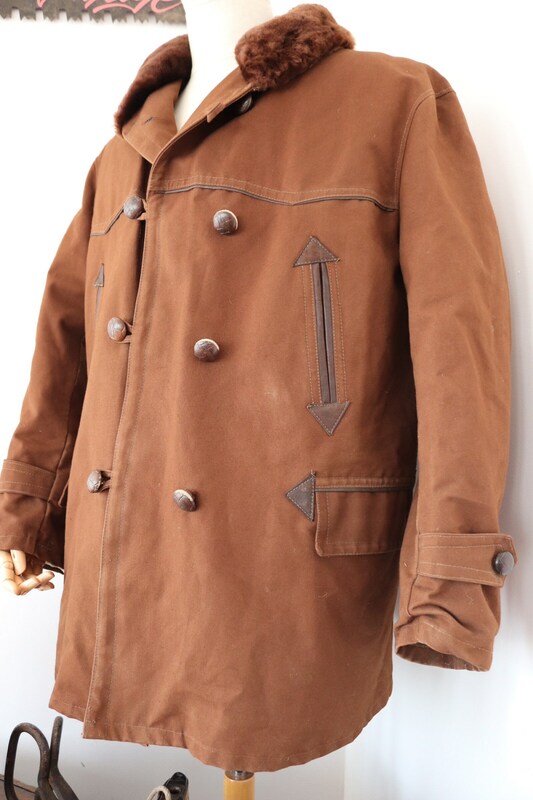 Non-removable thick sheepskin lining, thick mouton collar, leather edging at the pockets, full set of buttons, great quality and style. 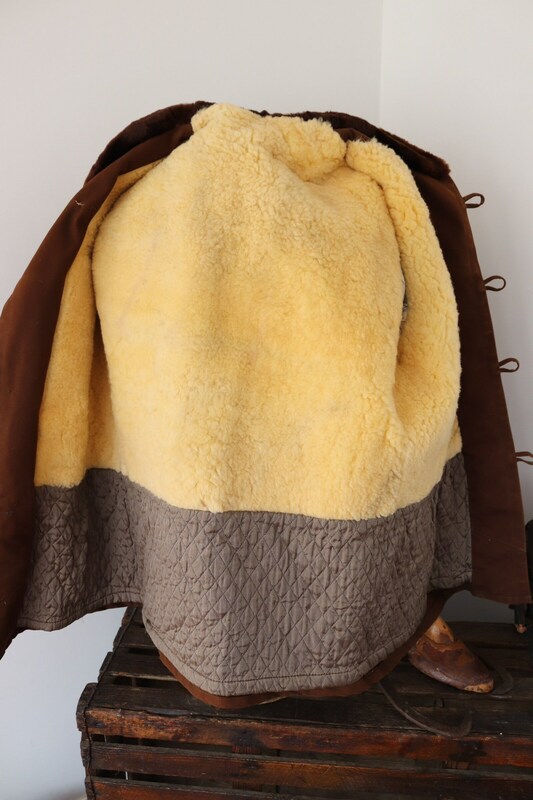 Weighs just over 2kg.